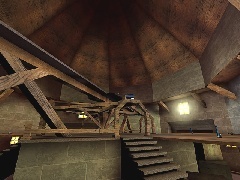 This map was inspired by Quake3: and the map Q3T6, which is a series of opposing platforms in space with jump pads providing access between them. 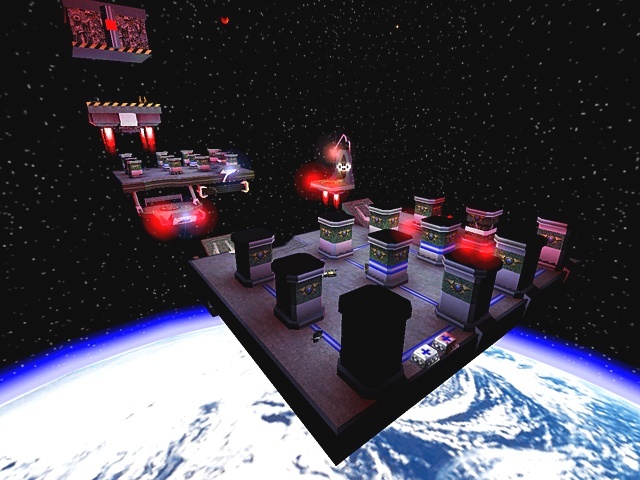 A floating platform that is also a trap holds some power-ups. 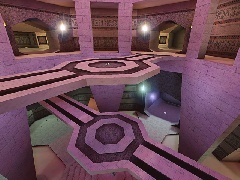 I liked that map when I was playing Quake and thought it would also play well as an UT map so I tried to get it as close to that map as I could. I didn't use any kind of map converter, so all the brushs are made by me and not copied. The map turned out really nice and if your into a fast 1v1 with jump pads and that out-in-the-middle-of-space feel, then this is your map as this has all that and some.